Hiwatari is one of the hard training program. Performs hiwatari every year on the fourth Sunday of May. 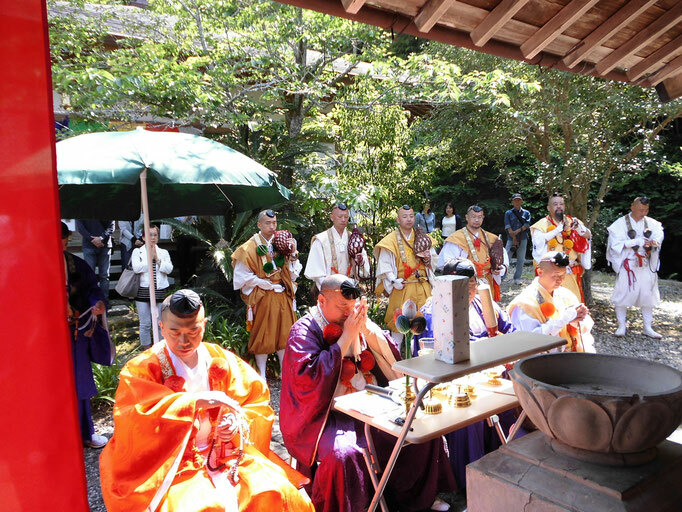 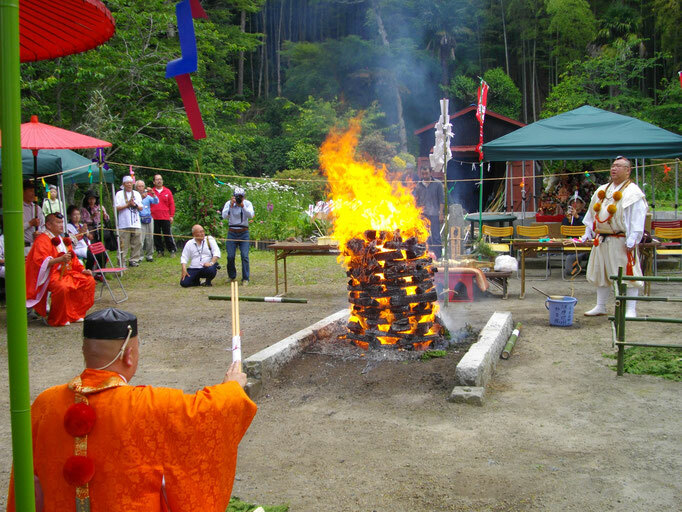 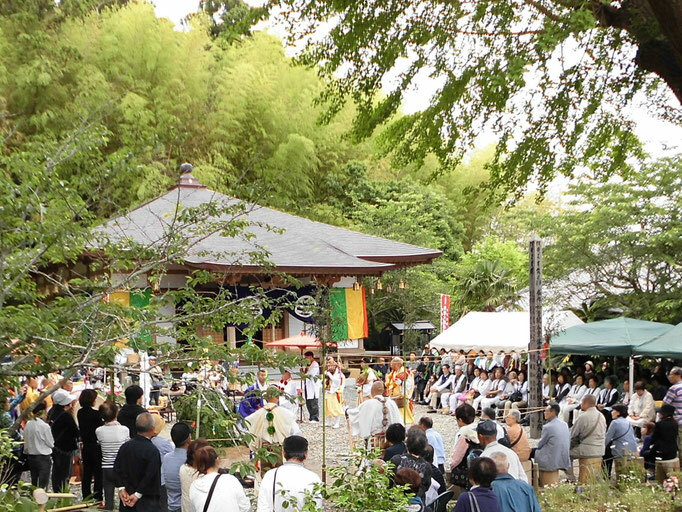 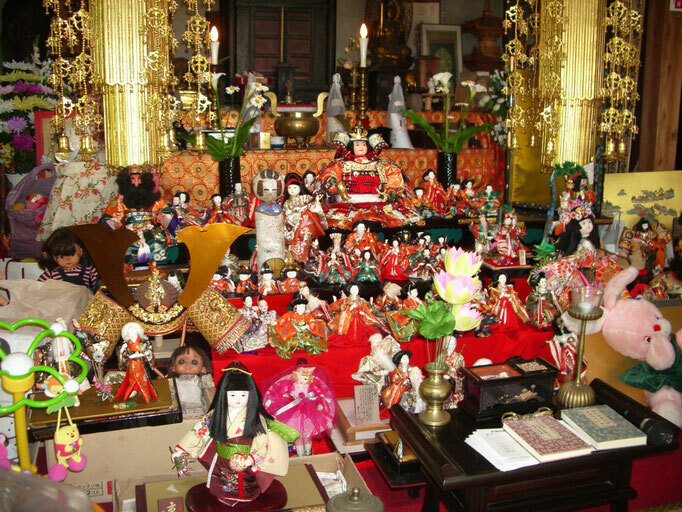 Hiwatari is a traditional custom of Myoonin Temple held by the yamabushi monks once a year to pray for world peace,longevity, good health and so on. 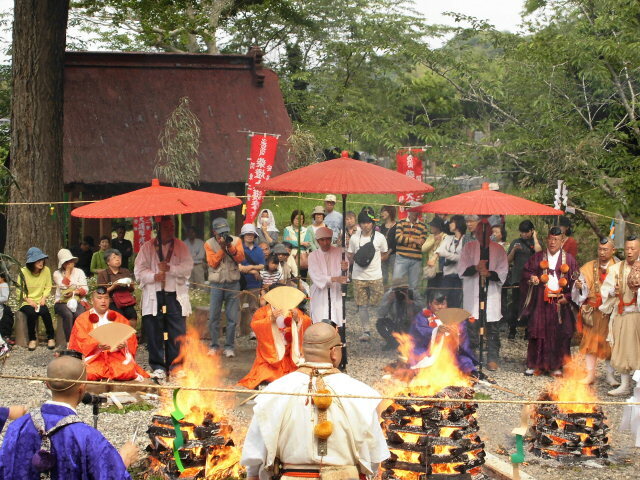 The main spectacle is the brave procession of people walking barefoot across flaming hot embers. 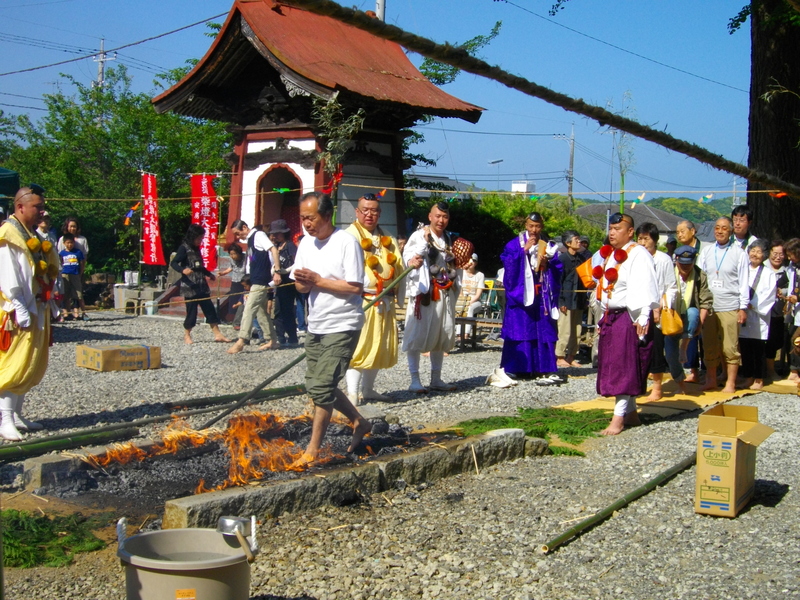 The Ceremony is also extremely popular with international tourists. 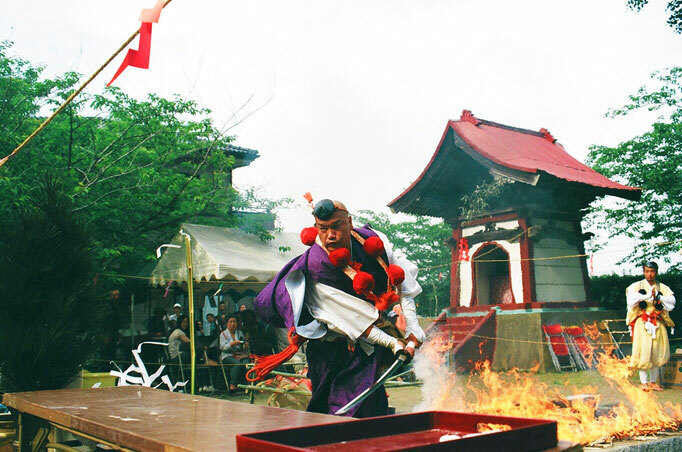 The yamabushi perform exorcisms and healing. 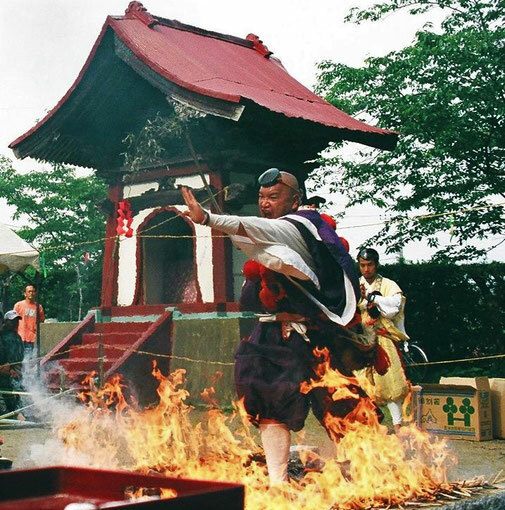 They are also known for fire-walking hiwatari,which means walking across the embers of a ritual bonfire.Theritual illustrates the powers they have harnessed through their practices in the mountains.They call on the powers of deities associated with fire,such as Fudo, to bring beneficial and purifying powers to ordinary people.